I recently purchased a second WG26s. This new guitar (C11060768) shows rosewood inside, in contrast to the mahogany showing inside my first WG26s & WGO26s. (A paper-thin rosewood exterior layer covers WGO's mostly mahogany body-- resulting in a woody "mahogany" sound). The neck on the new WG26s shows a different scarf joint at the peghead, rather than under the 2nd fret. Neck is slightly beefier as well, (more similar to neck features of WP11sns parlor). "New" WG26s' bracing tapered rather than scalloped, sound like rosewood guitars I've played. Tight and crisp, just plain loud. Fit & finish are flawless and shell trim & maple binding very classy. So, is this a "new" neck? alternative top bracing? different factory? What's with the rosewood interior lam body wood? I own a WGO26SCE model and by a stroke of luck am near the guitar, so I will look later today. I've owned mine for a couple of years now...IIRC the WG25 model was spruce over hog, while the WG26 model was cedar over rosewood. This "new" WG26s clearly has dark rosewood showing inside the back & sides. I even had to check if the grain pattern on the inside matched the outside!... nope. Hefty feeling body tho, and the maple/shell binding & trim is very nice. The cedar top has straight med. wide grain, while the "old" WG26s (? ser#) had highly figured cedar top ,scalloped braces, & less sound projection. Since the ser. # of the "new" WG26s begins with 1106, I assume manufacture date as June 2011, relatively low sequence digits 0768, so perhaps an older body with new neck? Or maybe different factories? The similarities to the neck construction of my recent WP11 (2015) are striking, and the label says made in China (not Indonesia as the R320swr). Also, I can't recall seeing a Washburn before with tapered (non-scalloped) braces. so, I'm really liking this WG26... plays nicely and sounds great. I see many of the same guits in our gear lists...and also see that the WG26S and the WGO26S are distinctly different models. How is your WG26S different from your WGO26S? BTW...All solid wood Washburn guitars are designed as such by the suffix "SW" after the model number, so you are right about the laminate sides and back. My WGO26SCE is one of my favorite Washburn guitars...compact with great tone because of the deep body. I have yet to play mine through a PA, but I have no doubt it will sound good. My WGO26s is a different beast than the WG26s: Lower bout of the WG is a bit wider than the WGO, and slightly less rounded (flattened) shape. Both have a deep body. The absence of binding on WGO body and neck results in a slimmer neck on the WGO, and allows a glimpse of the very thin rosewood ply of the back, hardly thicker than a paint layer, and laminated to a lighter (mahog) base. WGO's absence of top binding makes it really easy to bump and nick edge of the soft cedar top. The WGO feels lighter than the WG. I would describe the WGO as woody sounding, deep bodied with pleasant bass, but less clarity and projection in treble range. The WG26 feels heavier, a bit more solidly armored with fancy binding. It's sound is crisp and clear, loud and distinct in mid and treble... perhaps less 'cedar' in tone than the WGO. Thick gloss finish for the WG, matte (open pore) thin finish for the WGO. Top braces are shaped differently as noted. I play in a RGD thumb/index style using picks, percussive & heavy. Both guitars work well and sound good in this use. I'd liken the WGO to a D18, and the WG to a D28 tonewise. I like them both, play both, but would rate this WG26 as objectively superior -- at least between these two. I'm also fond of my comfortable WMJ21s, but its shallower body can't produce sound like the WG and WJ models. In my view Washburns tend to be over-built, and benefit from some top-brace trimming, replacing/recutting the nut to optimize string spacing for fingerpicking, trim bridge saddle to lower action, replace tuners as necessary. Intriguing...l may need to check out this WG26S. I like a guitar with decent finishing touches, like wood bindings on the body, fretboard and head plate. I see one of the online guitar dealers is offering closeouts on the WG26S. Based on your comments, I think I will contact the dealer to see if these are first quality items or "B stock". I really don't need another guitar, but I do like the smaller body styles and your recent posting about your WG26S has given me a case of GAS. I have been good...no new guitar purchases for the past two years...so it is about time! Thanks for your very complete review of yours, Rick! Be sure to tell us what theinside wood looks like! I have to admit, it's certainly a pretty axe. The abalone (purfling & rosette) is a nice touch, but you had me at "cedar top" -- currently I own neither a Grand nor a cedar, so this is tempting... but I got to pass, even at a mere $240 all-in. I don't think so, Tony. I just this morning had to make a choice between the WG26S at $239and a new Washburn Southern Jumbo (SJ60SKELITE) at $299...the case was the deciding factor in my decision. I WILL have a WG26S at the next paycheck...no doubt (unless they sell out...I'll call on a regular basis to check their inventory...I have the $$$ in savings right now, just too cheap to break into savings if the stock will last until the next paycheck). I sincerely doubt if the sides/back graining will match. If it were an SW model Washburn would certainly want their customers to know! Stay tuned...if inventory gets low it might just be another NGD for Dugly before payday! I'm curious to learn your evaluation of the WSJ60.... I purchased also one recently from AMS at $299. It is very lovely, cedar over cocobolo, and all the fancy bling (and case). The WSJ neck is a bit wider with a shallow D shape -- to me it feels somewhat different than other Wash acoustics I've played. I think my WG26s has a more ringing mid-range, overall a sweeter sound. My last purchase was an Ibanez PN1 parlor, all lam, cheap, pretty enough, and fun to play, sounding twinkly and clear, with surprising volume. (also made in China). I just today got around to ordering my WG26S...it'll be a HNGD for me either Thursday or Friday, or so they say! As for my WSJ60S...I learned a valuable lesson. Strings DO make a difference. Once I had swapped out the factory strings for my faves, this guitar WOKE UP! I was not overly impressed with the tone of it at first, now it's one of the few I search out every day. I have had a chance to take more time really looking at the lutherie...folks, this is about as good as I've seen for a factory produced guitar. All of the bindings look like maple or spruce...and almost everything is bound. The joints are tight and the bookmarking of not only the top/back pieces, bit also the side pieces, is a welcome touch. It will be both a looker and a player, I am sure! The cocobolo graining is very attractive and mine has lighter cappucino colored streaks in it, as well as the expected rosewood darker grain patterning. From all I have found out about the WG26S, I think I'll like it. It has the "magical" tonewood combination I like in a body size I know I already like, so it's already heads above the rest. The only thing that could dampen my enthusiasm would be nut width or build quality issues, and there do not seem to be many complaints about that issue here on the forums. The "bling" factor played a part in this purchase...lots of MOP/abalone!!! Well, Tony, I was pleasantly surprised to find out that the guitar comes in one of Washburn's "pro" grade cases. If it is anything like the case in which the ELITE was delivered, it's a winner! If you take a look at the images on the WMS display you can see it...black, gator-skin texture. I get the idea that this is a sell-off of inventory, so if you're interested...$240 for guitar and Washburn branded hard-shell case (not plastic) is pretty righteous. FedEx says Tuesday delivery and if my experience is any predictor they will use every day. Check back early next week and hopefully I will have received the package by then. OK, folks, the WG26S is here. I can't comment on the musical performance yet because as I was trying to tune it up the e string broke. While that was inconvenient, it was not a big issue, but the new strings are still stretching in. The case was even more of a pleasant surprise...not only is it provided with the guitar, it has an arch top!!! WAY TO GO, Washburn!!! However (!) it is obvious that the case is not fitted to the guitar as there is considerable clearance between the guitar and the case at the waist of the guitar. That is a bit dissapointing, but there was no charge for this well-made case, so I'm happy enough. Now onto the wood...the graining inside the body is definitely rosewood and the inside graining and outer graining do not match, so the laminate nature of the secondary tonewoods is obvious...although the appearance of the interior woods are obviously a laminate layer, it is an attractive look because of the rosewood used. The new strings have stretched in pretty well and I must say I agree with Rick's comments. I am almost universally disappointed in how the "G" string sounds on most of my guitars, it is rather "muted" compared to the other strings. Washburn did something right on this model...I'm not sure if it is the small waist on the body or the tonewoods or....well, there could be many reasons, but the balance across the fretboard definitely seems better on this guitar than on my recently acquired WSJ60SELITE, and I thought that one was very good! This is the first steel string guitar that I hear the A/D/G/B strings as having equal "brightness". That is very impressive! The lutherie/workmanship is exemplary! The guitar came with an extra bridge pin and an extra saddle, so I may do some experimenting with string height by sanding down the extra saddle, but I am NOT unhappy with what I have already, so it won't be much. I really like the neck. 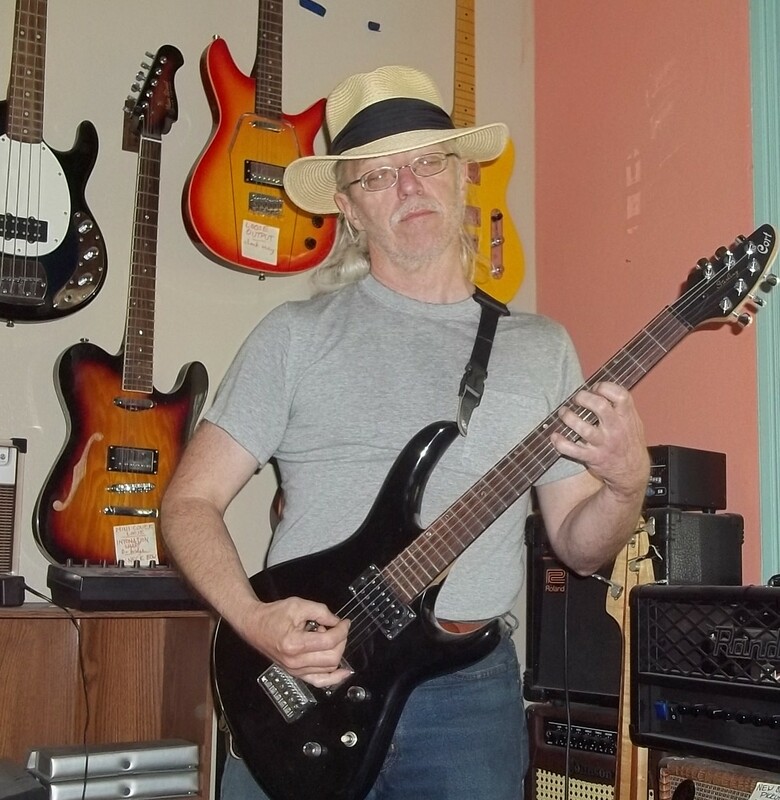 I need a rather thick neck due to an industrial accident I suffered in the 1970s, requiring a bone graft on my left thumb...which might explain why my Epiphone AJ500RC is my favorite guitar...the instrument has a "V-neck" profile and that really feels good in my hand. This guitar has a neck that is wide enough for me, and although it is not as "thick" as the V-neck I like so much, I would give it an A-/B+ for playability because of the width of the neck. It is a very attractive instrument, with all the rosewood, but the top is not the light "reddish" color that I expect from cedar, it appears lighter like spruce. I have no doubt it IS cedar, though...it just sounds and plays right, and with all the MOP it's very attractive, to boot! It's definitely a keeper!!! BTW, Rick...the neck on mine has the scarf joint between the first and second fret, too...but the serial number starts with 10, so it must be a 2010 model. Now that I think about it, the WSJ60SELITE is a 2013 model, so these have been sitting around for a while. Well, it's quickly becoming clear that there are a few guitars that won't get much playtime for a while. Now that the strings are stretched in the guitar tunes "...like buttah!" I spend very little time tuning, so the tuners are getting my respect. I'm also digging on how easily the guitar plays, and I credit the neck for that nice surprise. It is surprising how easy it is to throw in some vibrato, and hammer-ons, liftoffs and slides are solid, too, thanks to the great fretwork and cedar top. Yeah, I'm kicking my own behind for waiting so long! An added bonus...b/c of the fairly exaggerated waist on this model it rests OH! SO WELL on my leg (I play in the classical position)...no need to "contain" the guit on my leg frees up the right arm and allows it to be held away from the guitar, which results in notably improved tone. Get ya one of these while they are still available...I would get myself a second one if I didn't have so many guits already. Dugly, I'm not surprised you like your WG26s -- I think it is the best looking of my guitars, possibly also best sounding... My daily player preferences move around. Lately I'm using my R320, also handsome in appearance, intricate Tree-of-Life fb inlay, and the solid redwood body has distinctively richer tone than other parlors I've played. I sanded down it's deep V-neck a bit to soften it and facilitate getting my thumb around to catch bass notes -- still a V, but not so much. Improved feel, for me. I disassembled my inexpensive Johnson resonator round-neck, carefully re-set the cone where the edge sits (now flush) in the well, tweaked the spider legs and saddles, added nickel/bronze strings... now no buzzing and piercing treble. cool. I've so many guitars now that some (ironically, the Martins) simply sit stored in cases, for the most part. I love to tinker and tweak my acoustics (kinka like my daily driver '67 Datsun roadster) where the individualized setup makes a big change in the experience. But I always took my toys apart and recombined them as a kid, now I don't get in trouble for it. Love the Washburn acoustics, esp the 2010-2011 era, cheers for CNC fabricated guitars copying classic guitar architecture so competently and affordably! BTW, I've strung everything with Elixer strings: Easier on my finger tips, sound great, and last much longer when just sitting around waiting to be played, so economical when you have many guitars sharing playtime. Glad you enjoy your WG26!